Mu'min is certainly one of the more unique members of the International Toothpaste Museum. Why? It's halal - the Muslim equivalent of Kosher. You see, the majority population of Malaysia is Muslims. Review? white paste. Flavor? complex. 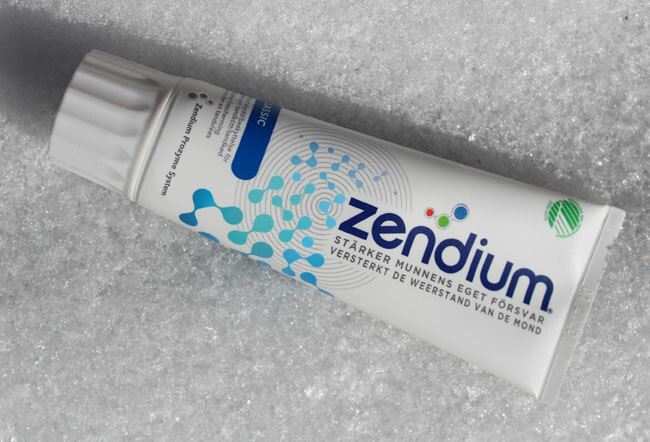 My 13-year old son called it similar to Stride gum's sweet mint flavor. My 8-year old daughter said it was a mix between mint and bubblegum. I couldn't figure out what I thought it tastes like. To me, the toothpaste is a winner because of the picture of the happy kids on the box. Very nice, Paul! 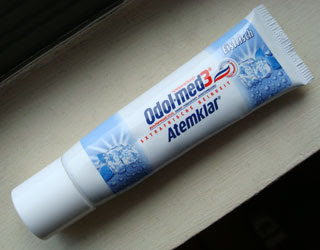 Since childhood I've seen toothpaste as a necessary evil and used as little as possible. 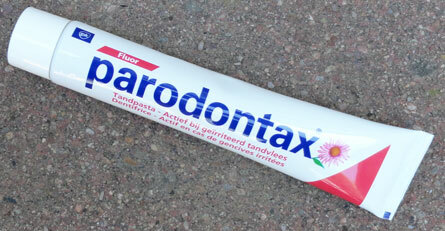 But if I'd had cool, character toothpaste and a fun brush, it might have been different! 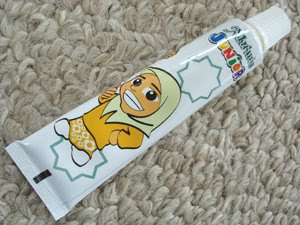 Junior Mu'min toothpaste specially formulated for children, size 50 grams and is available in 4 interesting flavors of Strawberry, Orange, & Bubble Gum Fruities. 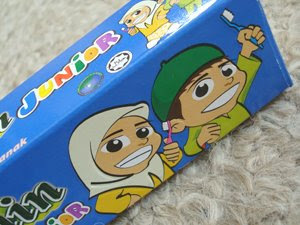 Each type of Mu'min Junior Toothpaste has its own unique flavor. 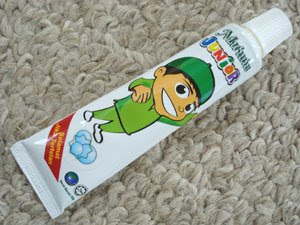 The difference between Mu'min Junior Toothpaste with most other brands are our products do not contain fluoride. Children often swallowed toothpaste when brushing your teeth while the use of fluoridated toothpaste give a high risk to the face Dental Fluorosis. Dental Fluorosis Among the problems is the effect of white spots on the teeth of children, such effects are usually permanent until the children grow older & much worse it might last forever because no effective method to treat it.